Finally catching up with the scanning of my sketches. 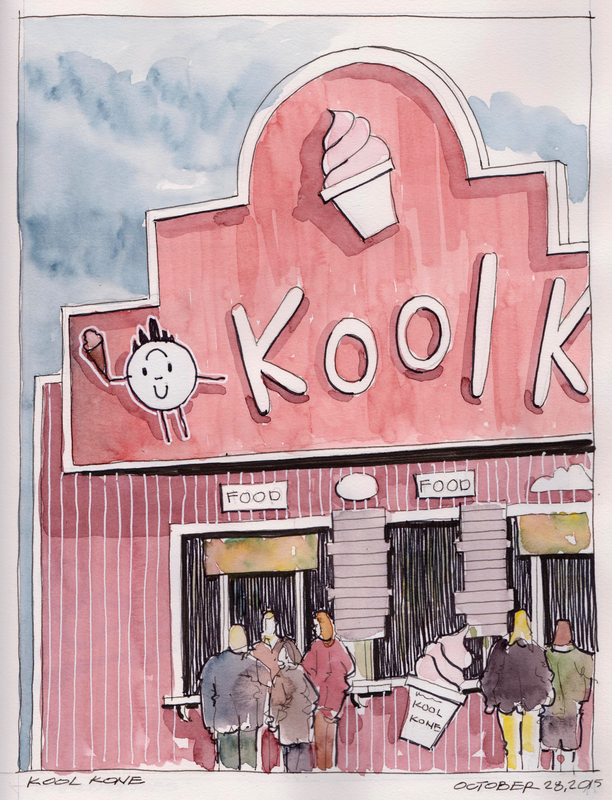 Kool Kone is a local favorite in Wareham, Massachusetts. It is open during the summer season and is always busy serving up ice cream treats burgers and sandwiches along with excellent fired favorites like clams, scallops and fish. This view is of a small corner of the order windows that face the street. We have to get there one more time before they close for the season. Prismacolor Art Pens with Holbein and Daniel Smith watercolors in a Stillman and Birn sketchbook. Nice painting, I really like how you captured the people.